Main Areas: Childhood Sexual Abuse Recovery, Mentoring women who have experienced CSA, Life Coaching, Energetic Healing. 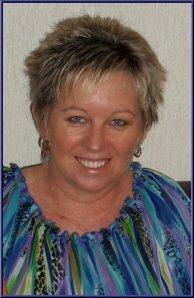 Gail O’Keeffe is an Author and highly experienced Inspirational Mentor for survivors of childhood sexual abuse. Gail helps women who have experienced childhood sexual abuse to fast track their healing and empowerment utilising cutting edge energy psychology techniques. She has facilitated and conducted numerous online TeleClasses and Your Growing Joy Mentoring sessions. Gail’s greatest gift is her genuine love of people. She has a very warm and nurturing personality, a wonderful sense of humour, in-depth intuition, with a natural ability to reach out to others and touch their hearts. Gail has encountered many changes throughout her life. This stirred the passion to study and embrace tools, strategies and techniques that has enabled her to navigate her sometimes very difficult path of life. She has now integrated that wealth of information with her own experiences and developed a common sense approach for overcoming the trauma of childhood sexual abuse. Gail brings a special brand of empathy to her role as a Mentor, teaching empowering cutting edge strategies and techniques to women that assists them to lead happier and more fulfilled lives. She specialises in mentoring, supporting, facilitating, and inspiring women to live successful, happy and content lives. Free of indecision, guilt, stress, confusion and painful histories. Gail is also the founder of Care Notes: Discover the little joys of life! A 20 week f'ree e-course for survivors of childhood sexual abuse. Visit here to receive your weekly dose of self-care. Gail resides in Brisbane, Australia with her husband of 24 years, her two children and minature daschund Graeme. Inspirational Mentor, Author, Survivor, Certified Life Transformation Coach and Teacher, Thought Field Therapy (TFT), Pellowah Healing Technique©, Kinesiology, Shell Essences, Aura Light Healing, Faculty Member of I.I.H.S.C., Undertaking Diploma of Counselling, Majoring in Abuse, Grief & Loss. CARE NOTES: Free e-course delivering 52 easy and safe ways to discover the little joys of life as you take the next step toward healing the trauma of childhood sexual abuse. Join Here! We grow because we struggle, we learn and overcome and our joy begins to grow. Yes I am an Aussie. ;) I live in Brisbane, Australia. I invite you to join receive my F'ree Care Notes. A 20 week e-course for survivors of childhood sexual abuse. Here you will find a free weekly e-course delivering 52 easy and safe ways to discover the little joys of life as you take the next step toward healing the trauma of childhood sexual abuse. How do you have joy in your life when you have been abused and betrayed from a very young age? You need to learn how to give yourself what you did not receive early on. When you have been sexually abused and betrayed your innocence along with your child like sense of joy is taken away as well. For many survivors the feeling of joy has never been experienced..
My name is Gail O'Keeffe and I too am a survivor of childhood sexual abuse. I know only too well how foreign it is to hear the word joy, let alone experience it. Not knowing how to do this left me feeling angry, lost and confused. It was like hearing a foreign language for the first time...my eyes rolled back in my head and I felt overwhelmed! You see, I found myself at the age of 37.....still waiting..... waiting.......and waiting........for my parents to teach me about joy. I realised the cold, hard face of reality was, that learning about joy, was never going to come from my father who abused me or my mother who was physically present but emotionally absent all of my life because no one taught them about joy either. I was desperate to heal as well as to uncover and experience even a smidgen of joy in my life! Visit Website here to find out what that was and to receive further information on the FREE Care Notes. Contact Gail via her website.